Friday the 13th…. 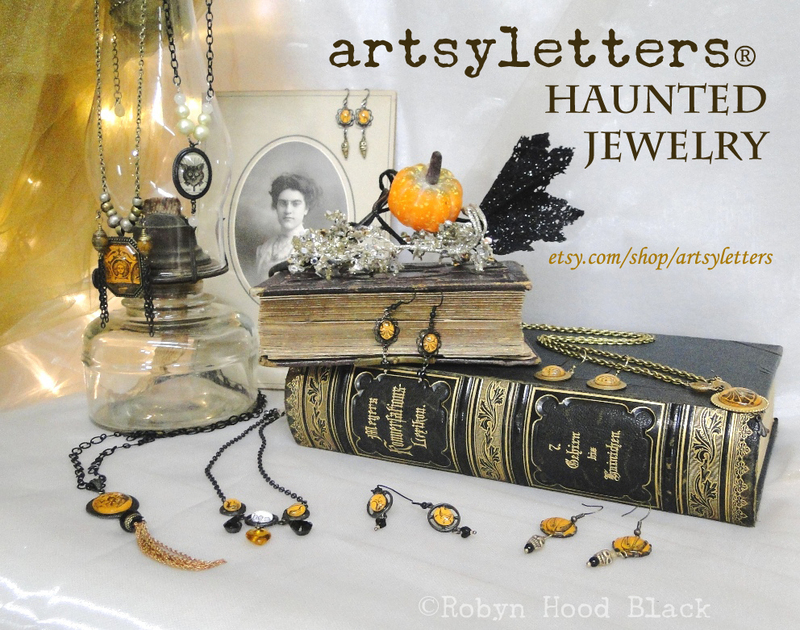 Haunted Jewelry by artsyletters! BOO! Happy Friday the 13th! I have a few spooky jewelry pieces in my Etsy shop, and I’ll be adding more as the weekend goes along. Each piece features some kind of vintage literary treasure, including some wonderful black and orange illustration details clipped from an 1869 magazine cover and set under glass cabochons. Keep checking back… if you dare!